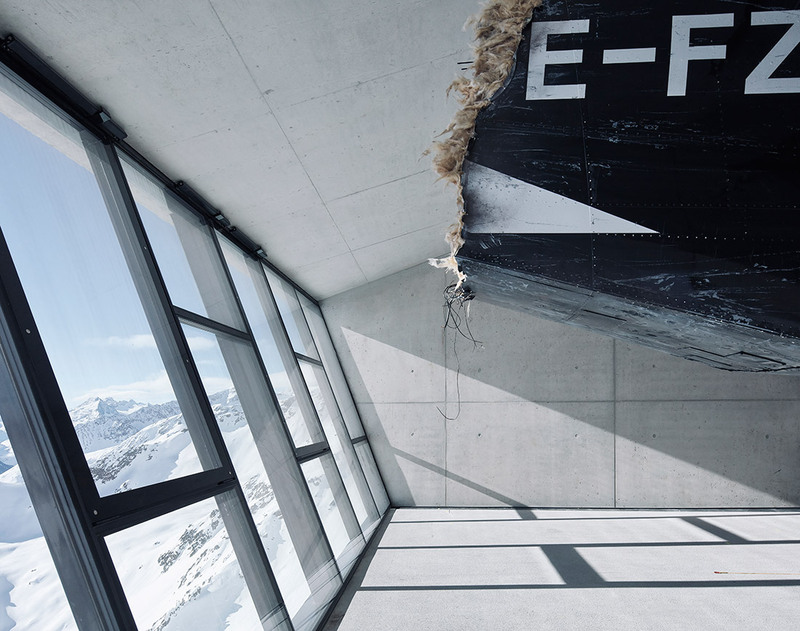 007 Elements is a cinematic installation, the experience is closer to a film than a museum in the traditional sense. Its location at 3.040 meters above sea level, the breath taking natural scenery and the dramatic climate changes make the whole setting unique and spectacular. We were willing to incorporate the dramatic natural environment in the interior spaces. 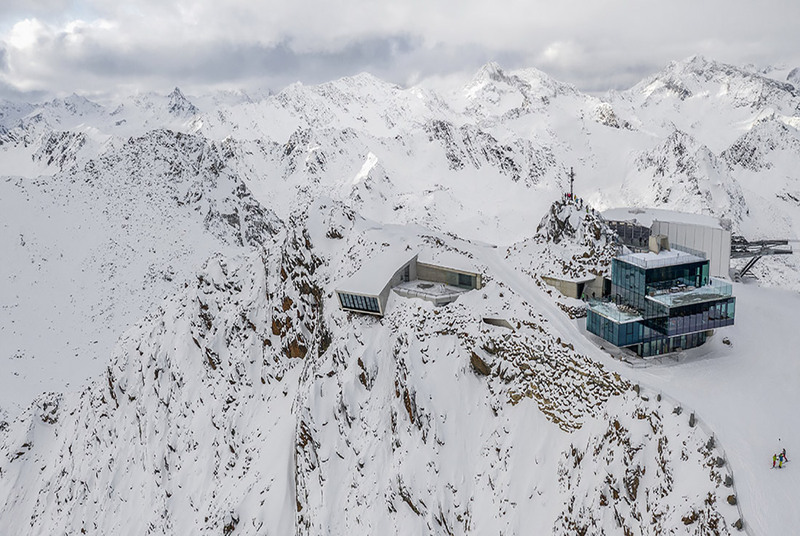 Wide, selected openings frame spectacular views, establishing visual connections to the film locations of Spectre. In the final design, we developed the concepts ‘inside the mountain’ and ‘iceberg principle’. 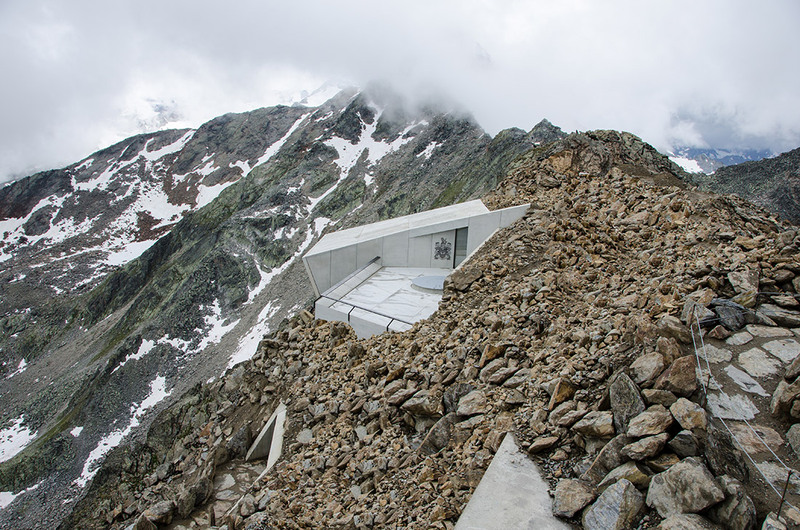 Nine free concrete chambers were the result of this process, connected by ramps and located in the mountain. The path through the exhibition unfolds through slightly inclined, almost unnoticeable descending levels, an alternation of sophisticated spatial sequences. The acoustic staging enhances a sensorial and visual experience. 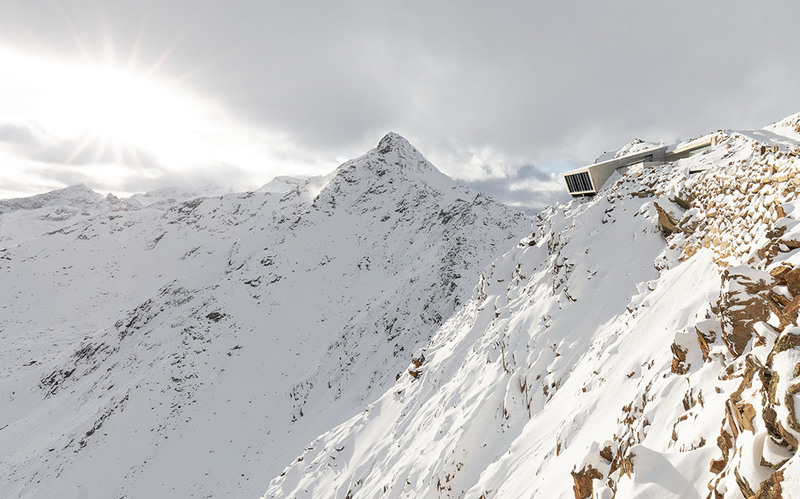 – The location chosen for this interactive exhibition, spectacularly placed at 3.040 meters above sea level, is a unique and almost unattainable scenario spacing above the Austrian Alps, experiencing extreme climate conditions, breath-taking views. 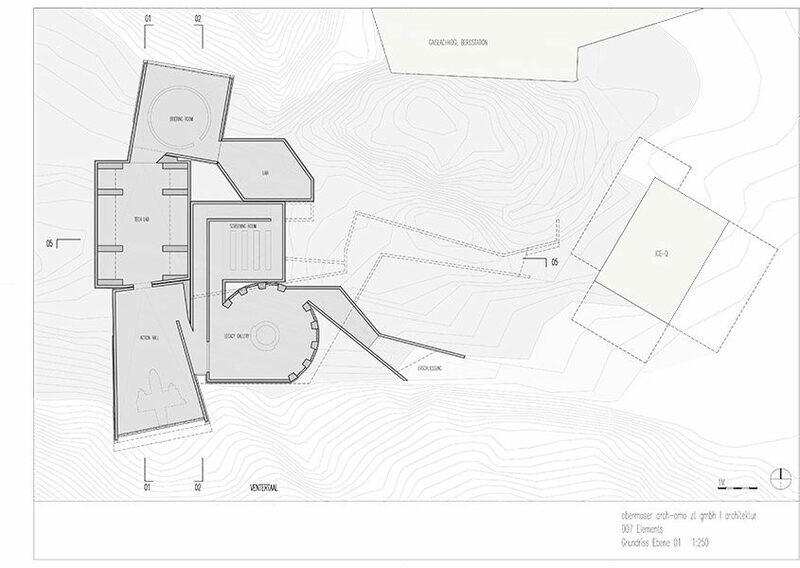 – Design criteria, precisely regulated in other building typologies, such as structural and physical requirements, had to be newly developed for this project due to the extremely high location. 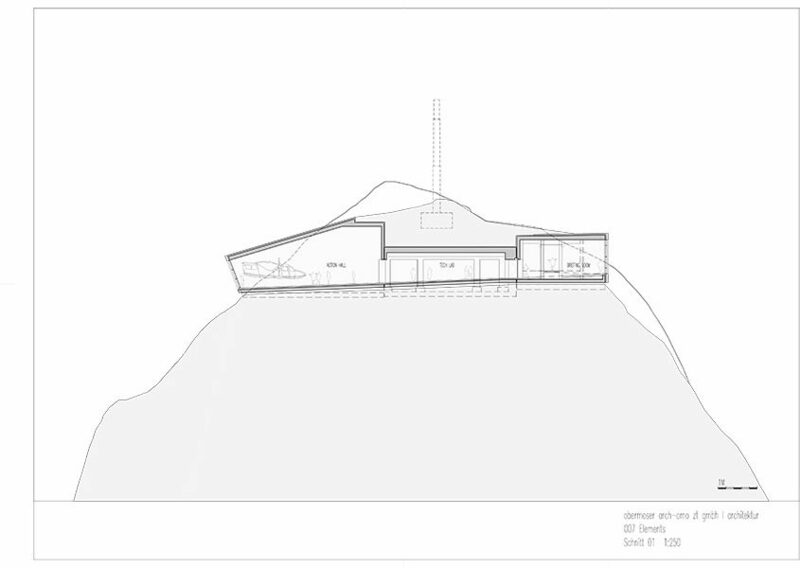 – The construction, following the concept of ‘the iceberg’, connects to the mountain ridge by few anchoring points. 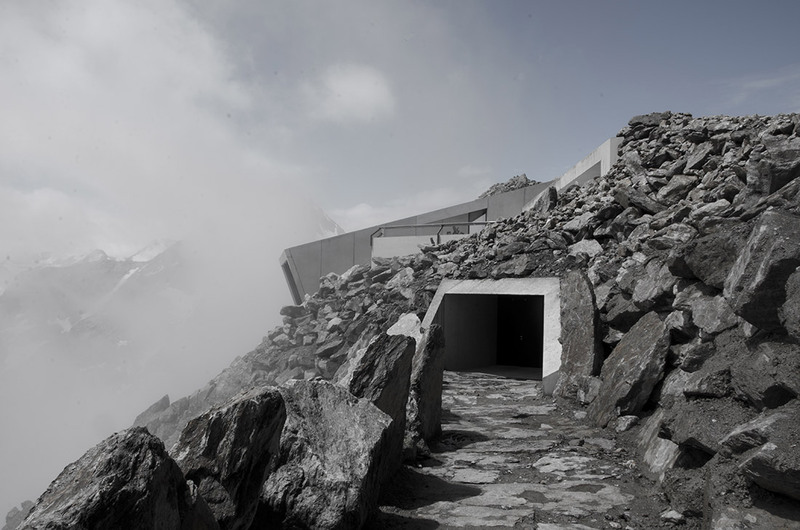 The exhibition volumes develop mainly introverted inside the mountain, piercing the ridge with few exceptionally panoramic views. 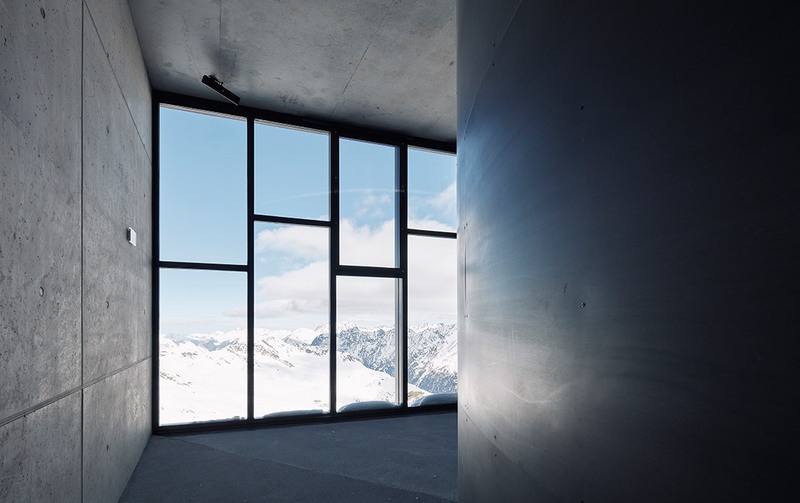 – Aiming to realize a timeless object, the materialisation followed a radical, reductionist approach: concrete, steel, glass where main ingredients. – The daring choice to avoid heating and cooling system was willing to emphasize the consciousness for the natural environment within the interior spaces.